GRAN CANARIA : Why Go? It’s always difficult to decide where to head on your annual summer holiday, especially as it’s so looked forward to and you really want to have the perfect break from the daily grind. As one of the Canary Islands, Gran Canaria benefits from a beautiful year round climate. This makes it a fantastic budget holiday choice for those who want to avoid the peak summer holiday period. It’s also a safe bet for some winter sunshine. This island has such a lush and varied landscape that it’s said to be its own ‘mini-continent’. Climb the Puerto Rico hills, swim in the water lagoon at Maspaloma or hike the island’s volcanic peak for an active holiday in the thick of nature. If you just fancy spending a few days chilling out on the beach (you are on holiday afterall) there’s plenty to hold your interest. Leave the sunlounger for a bit to enjoy the benefits of being surrounded by sea – you can try scuba diving, snorkelling, sailing, deep sea fishing and more! For those who prefer to avoid the sea and the creatures that reside in it, a day out at the Aquasur waterpark is a really great way to cool off with some waterbased fun. It might surprise you to discover that Gran Canaria has a rich and interesting history, having been inhabited by the native Guanches before being colonised by Spain. Take a tour into the heart of Aborigens land, for a totally different look at the island. 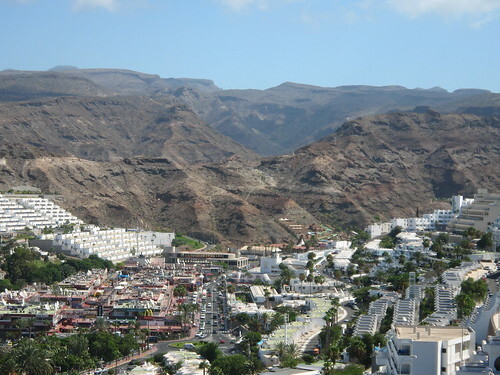 If you’re ready to book package holidays online, don’t overlook Gran Canaria for 2013. This ‘mini-continent’ has a lot to offer! Have a blessed Easter to you and your family. Wow! what a place.Think this will attract more tourists in the future.